This is a souvenir folder from the Curt Teich company in Chicago. It’s copyrighted 1952. There are 18 views in the foldout portion. They’re on medium stock and not presented as postcards (although I’ve seen some of these views as postcards). 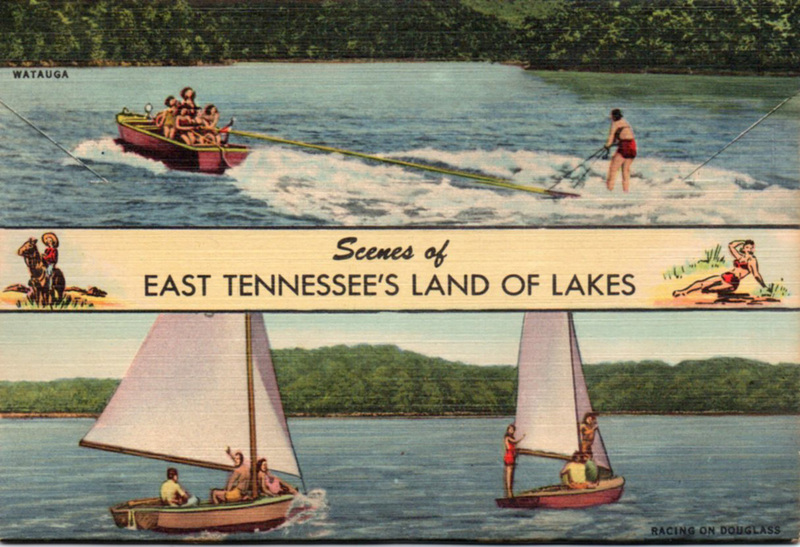 The views cover Cherokee, Douglas, Ft. Loudon, Norris, South Holston and Watauga. Included, for fillers, I guess, are Bristol Caverns and a shot of a highway going on to a bridge. Missing is Ft. Patrick Henry because, if these pictures were shot in 1951, that dam was just being built (it was completed in 1953). As I’ve mentioned before, these pictures were shot in black-and-white and were then colored, a little clumsily, at the Curt Teich facility. The colors, then, are mostly imaginary; although, the photographer would have made color notes for each shot. 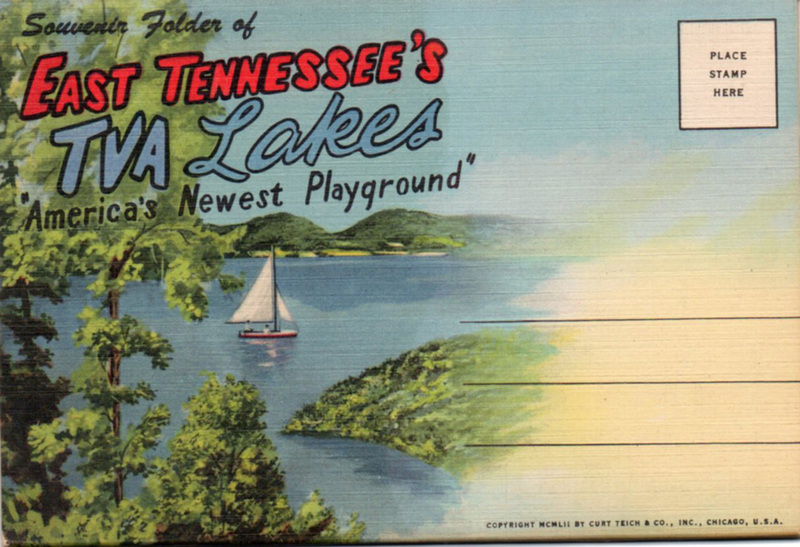 Posted in Existing photo processed by Bob Lawrence and tagged Bristol Caverns, Cherokee Lake TN, Curt Teich Chicago, Douglas Lake TN, Ft. Loudon Lake TN, Ft. Patrick Henry Lake TN, Norris Lake TN, South Holston Lake TN, Watauga Lake TN. Bookmark the permalink.